AnTuTu is one of the most popular benchmark kits out there. It has been so for years and it has established itself as a solid reference service when it comes to phone hardware performance. Company headquarters, AnTuTu Labs often runs tests of its own, to follow hardware developments first-hand. For that purpose, AnTuTu has its own reference devices — no name, no brand phones that have the most vanilla software running on them, built simply to run a benchmark. 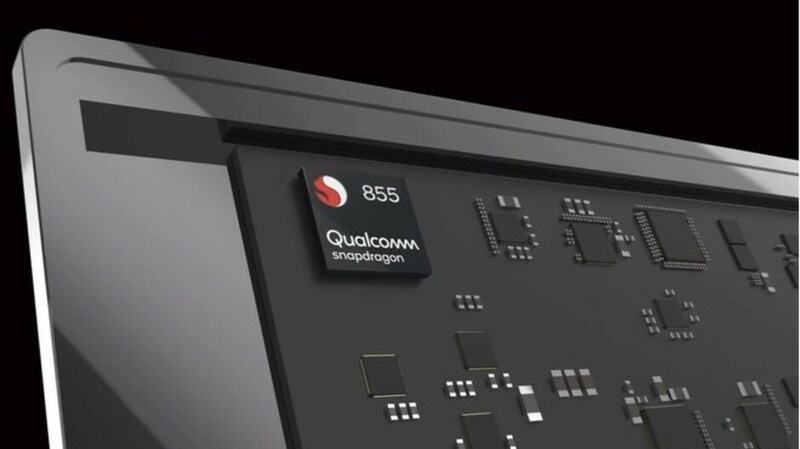 The company has now released its own benchmark test results for the Qualcomm Snapdragon 855 — the processor that is going to power this year's big-name Android flagships, like the Galaxy S10, LG G8, Xperia XZ4, among others. On the graph below, we can clearly see that the reference AnTuTu phone that rocks a Snapdragon 855 pretty much smokes the competition. We wish we had an Exynos 9820 thrown in there for good measure, but according to previous tests, it wouldn't have fared better than the Snapdragon 855 still. What we find more interesting are the last two phones. Taking the final place, we have an AnTuTu reference no-brand phone with last year's Snapdragon 845, while right above it, there's the OnePlus 6T, which is also powered by the Snapdragon 845. The score difference between the two is far from negligible, which leads us to believe that AnTuTu's reference device is far from optimized and probably not showing the best that its processor can do. Qualcomms always beat A series in Antutu. Though this time, the difference minute. And that's just for the reference model, see how OP6T scores way over that reference 845 using the same SoC. OP7T could pass 400k on Antutu. Antutu themselves said you can't compare android and ios scores. Really?! When did they say that?? There isn’t...but tech sites have no clue...so, what do you expect?! And I myself never said anything about comparing it to iOS scores. How can you be sure that benchmarks are to be trusted? I do trust only apple that its chip will last for more than 5 years. Fast, reliable , efficient and long lasting. Well, Android support is guaranteed for 18 months? 3 years on Pixel. We're talking about the chip in here. Why won't the Snapdragon ones last as long? apple and qualcomm soc are both manufactured by TSMC. Whats inside your head, an air or a fat? Except that per Antutu itself, iOS score and Android score are NOT comparable. Yup...Anandtech even made a comment about Antutu...not a very good benchmark...and thus, Anandtech (and other well known tech reviewers) never use it. Oh come on! Just that dumb dude. There is no conspiracy. Anandtech benchmarks are a lot more thorough than others. BTW, Anandtech main guy uses Android. 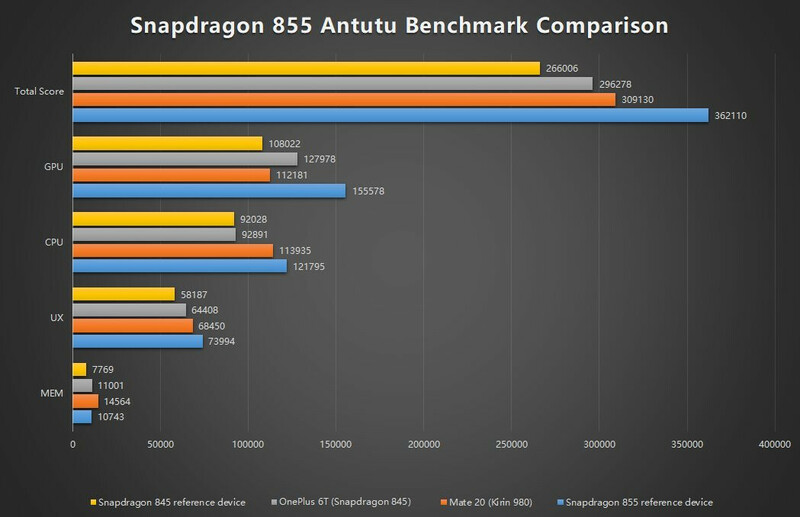 The best comparison is what Anandtech did a few days ago...they benchmarked S855 reference device. It was not that good...and far behind A12 in pretty much every aspect. Those reference devices usually show about 80-90% of the chips power. They need to utilize more die space considering adreno 640 is probaly going to be the smallest gpu again, but like you said it is very impressive generating slightly more power than its competition. Sorry...but GPU of S855 at PEAK performance was slightly less than A12 SUSTAINED performance. When comparing peak vs. peak, there is a HUGE difference! Remember, in CPU multicore...S855 has 8 cores, and A12 has 6 cores. So, the fact that A12 is able to slightly beat S855 in multi-core is damn impressive. For power efficiency, A12 still leads the pack. Whether QC is stingy on die is irrelevant. They went cheap and thus pays for it. Benchmark scores mean nothing. Proved it when POCOphone beat the XS in a speadtest on YTube.